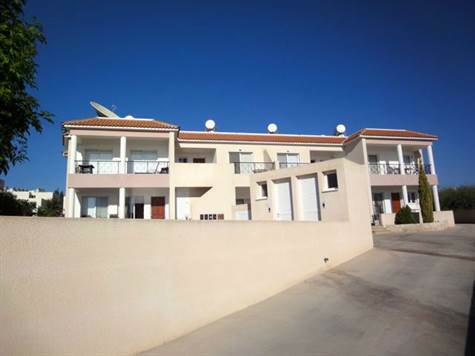 2 bdrm apartment reduced in Peyia. This beautifully presented top floor apartment is located in a quiet residential area of Peyia within walking distance to the village centre. The popular holiday destination of Coral Bay and the beautiful Akamas peninsula are a short drive away. It also has title deeds. Please refer to MLS#: 1285 when inquiring.